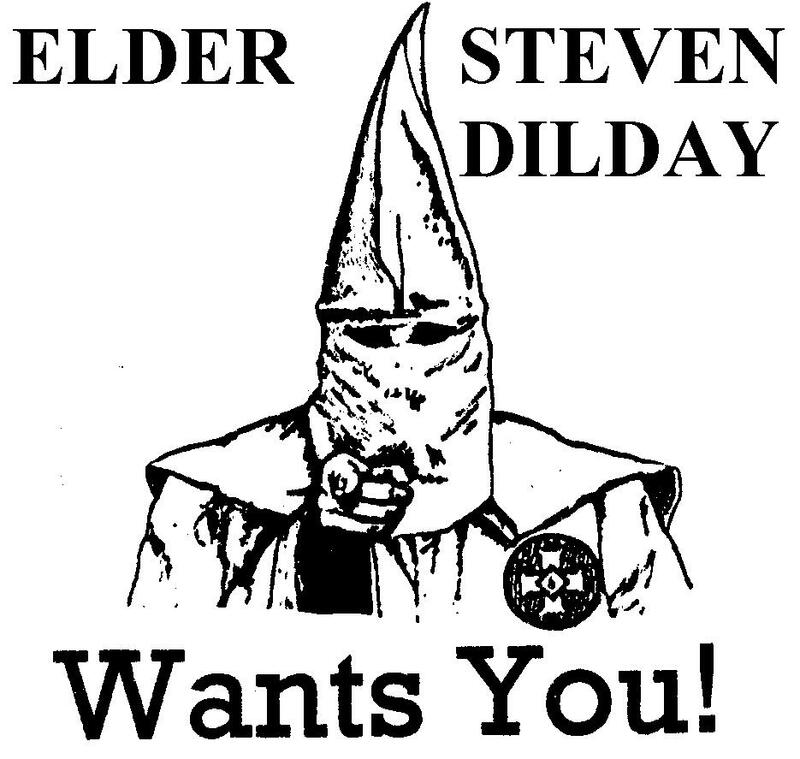 Pastor Steven Dilday Needs You! This entry was posted on Monday, September 19th, 2011 at 12:23 am and is filed under anti-liberty of conscience, AV1611-King Jimmy's Book, grace hating man lovers, Roman Catholic, they will know we are Christians by our pure doctrine, we are not like them!, We're not man-centered...no really?!?!. You can follow any responses to this entry through the RSS 2.0 feed. You can leave a response, or trackback from your own site. 3 Responses to Pastor Steven Dilday Needs You!